Nothing better then when the reception dancing begins. 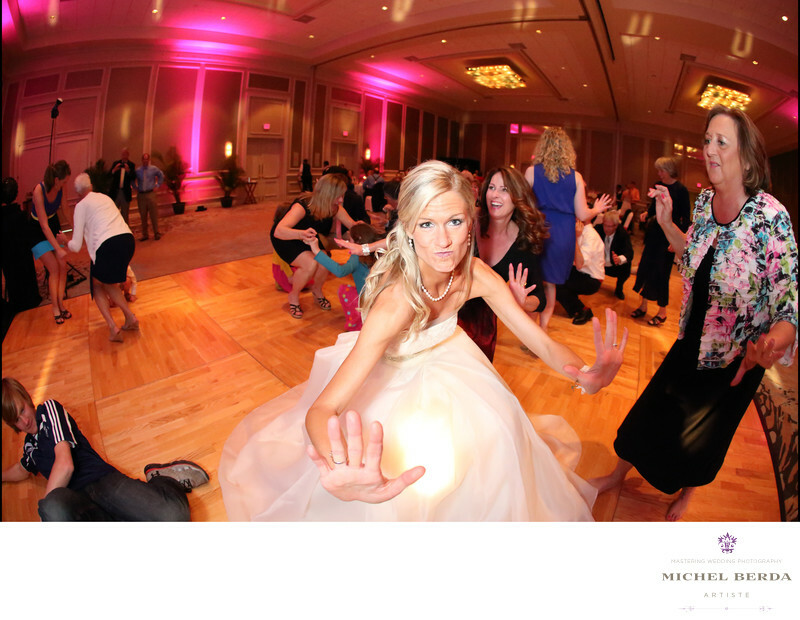 At this Westin Resort & Spa, in Hilton Head, when you are at a reception you never know who will come out with their best moves when the music starts playing. On this particular night the bride was the one that started the dancing for the night, so joyful with her moves, gesture, all lasted all night long. The family and friends joined in, and the great part is I quickly grabbed my camera with my wide angle lens, and went as close as I could witched worked out perfect because you get a great feel in this image of how much fun this wedding reception was, you can clearly see that the bride having the time of her life. The different colors really amplify this image. As a wedding photographer at the Westin Resort & Spa, I love capturing fun reception images, just the way every wedding should be.Keywords: Destination Wedding Photographer (117), Hilton Head (75), sc (309), south carolina (24), The Westin Resort & Spa HHI (27), The Westin Resort & Spa in HHI Weddings (27), Wedding photographer In Hilton Head (66), Wedding Photographers (198), Weddings (168).